An annual membership fee costs much less than a day’s driven game shoot. 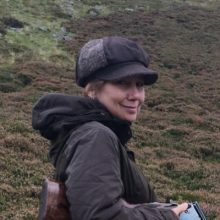 You are mentored in your first season, which means you can learn all about quarry identification, safe gun handling, fieldcraft and practical conservation. Wildfowling also introduces you to gundogs and their priceless contribution to all forms of live quarry shooting. Most wildfowling clubs also have a woodpigeon section, which gives members the chance to shoot over decoys on regular basis. Many experienced shooters regard the woodie as the ultimate sporting challenge – and shooting it helps protect valuable farm crops. Last but not least, being a member of a wildfowling club means you can put some of the tastiest of all meats on the family dinner table. Pigeon shooting is is probably the easiest introduction to live quarry shooting; it’s brilliant sport, fulfils a much needed and necessary pest control service – and the birds taste great as well! How many more reasons do you need? Remember, though, pigeons are pests – and most farmers will be happy to let you help control a list of pigeon shooting clubs) their numbers. If you’re really stuck for somewhere to shoot you could get in touch with BASC (who keep a list of pigeon shooting clubs) or your local rep for the National Organisation of Beaters might know of available shooting in your area. The quality of the shooting is just one of many aspects which make a day enjoyable. Driven game shooting is not only a formal, social occasion; it’s also fantastic sport. If you accept an invitation to shoot somewhere it’s very bad form to cancel because you’ve been offered another (maybe better) invitation. Don’t do it – people will find out, you’ll soon get a bad reputation and the invites will dry up.